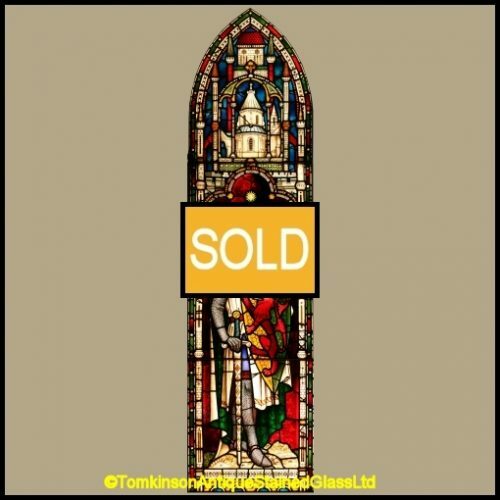 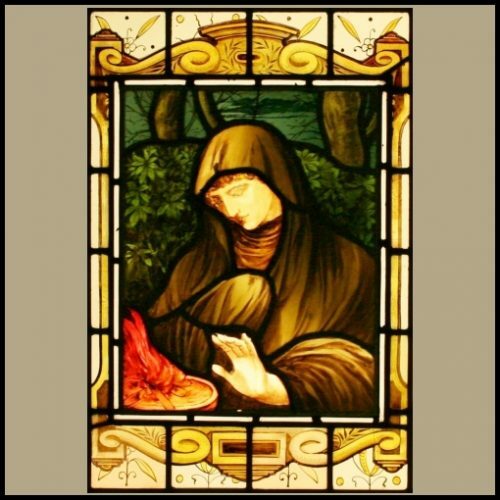 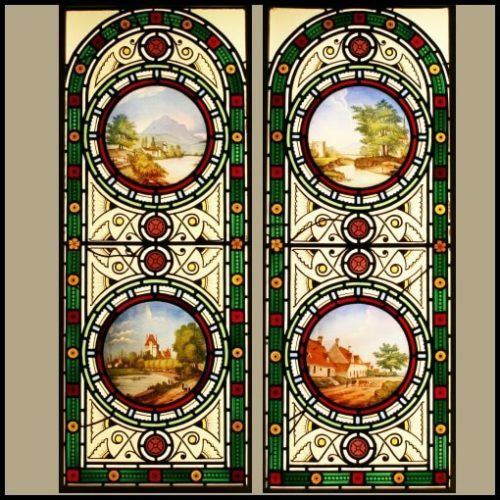 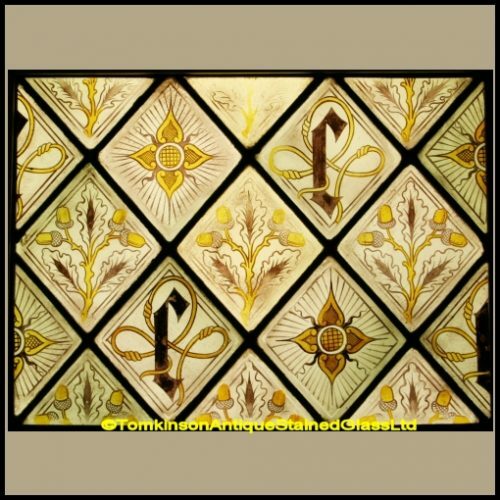 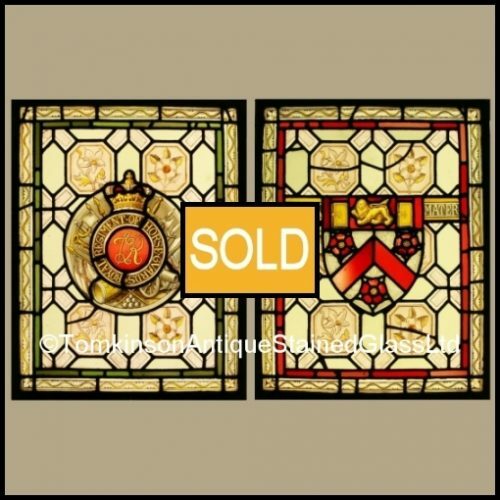 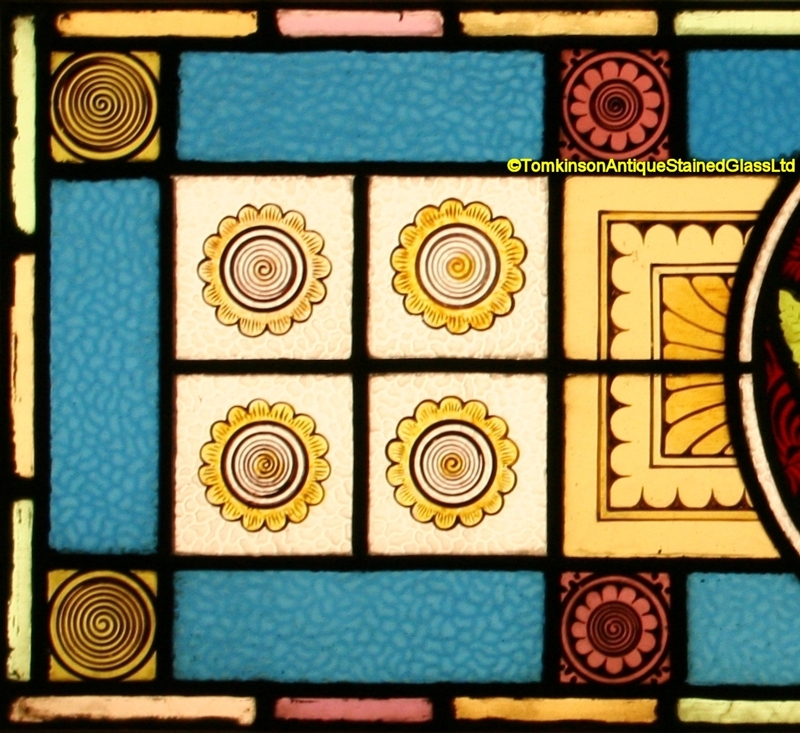 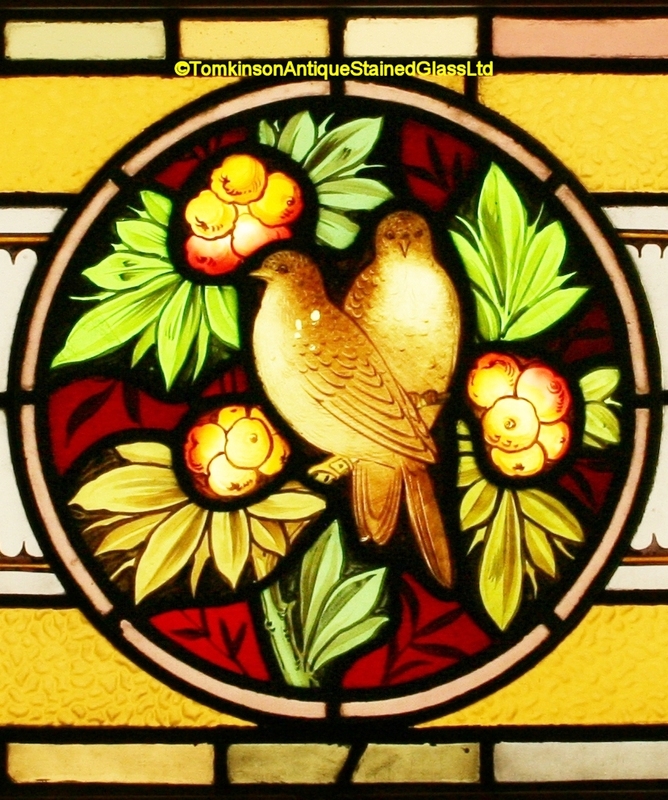 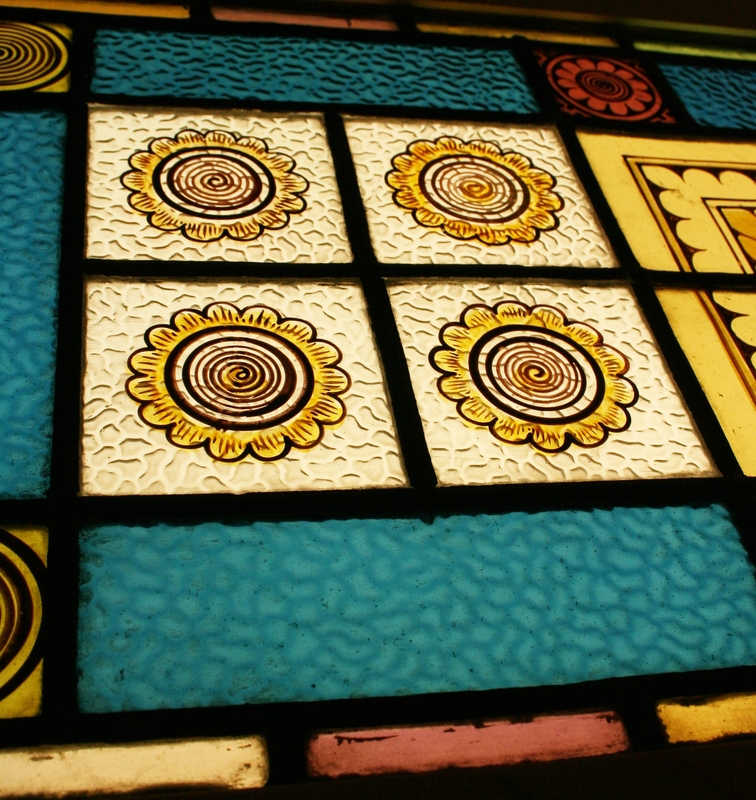 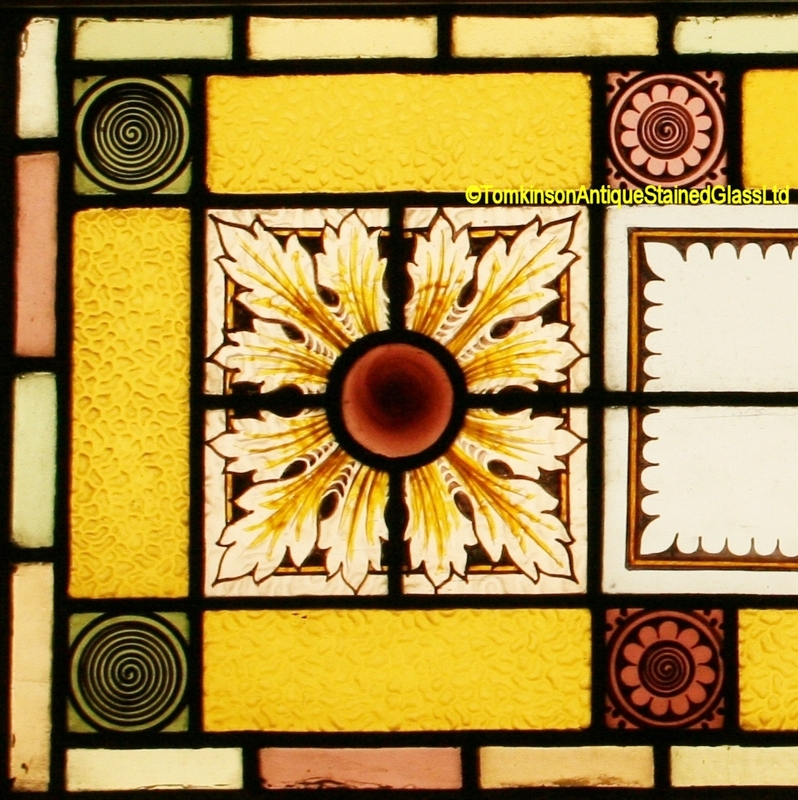 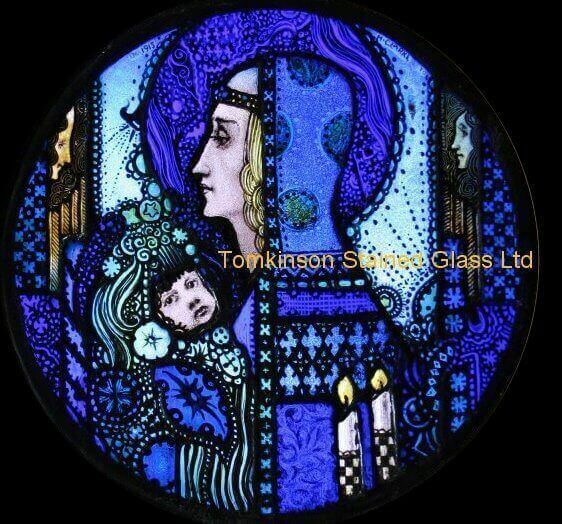 Two antique Victorian transom stained glass windows, each lead with coloured glass and hand painted central panels. 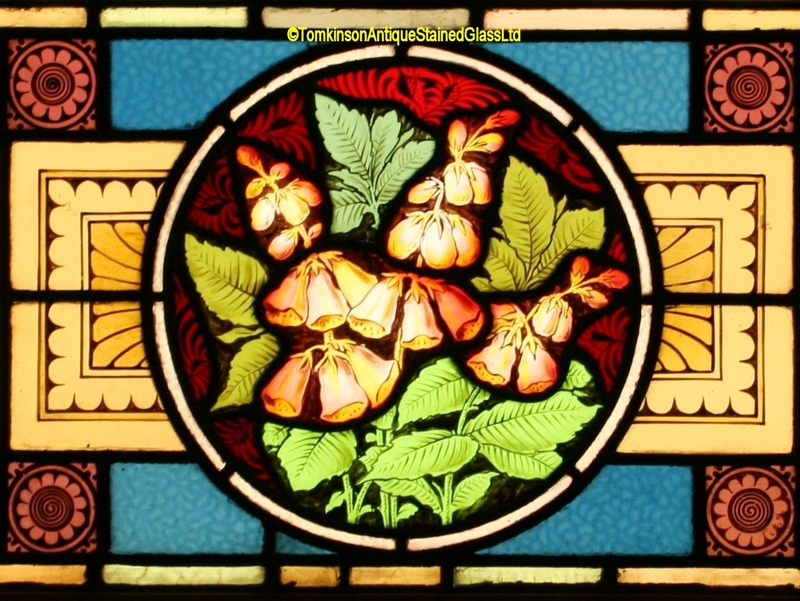 One depicting birds on branches of Rhododendron flowers, the other is of Foxglove type flowers. 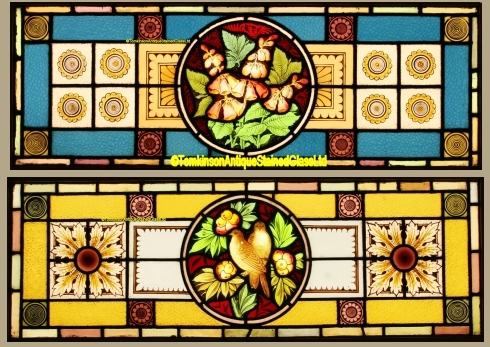 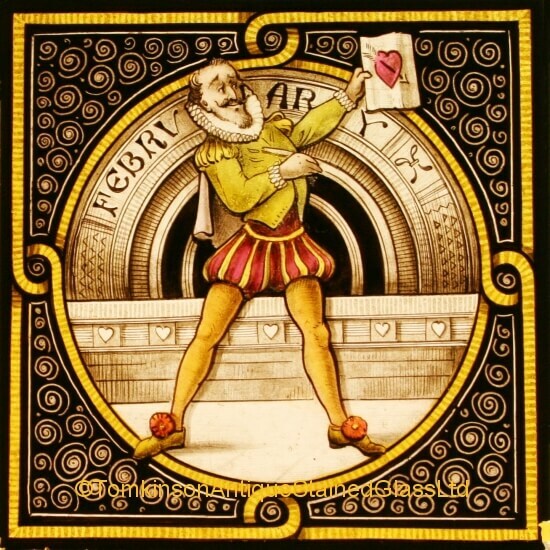 Around are stylised flowers and acanthus leaves. 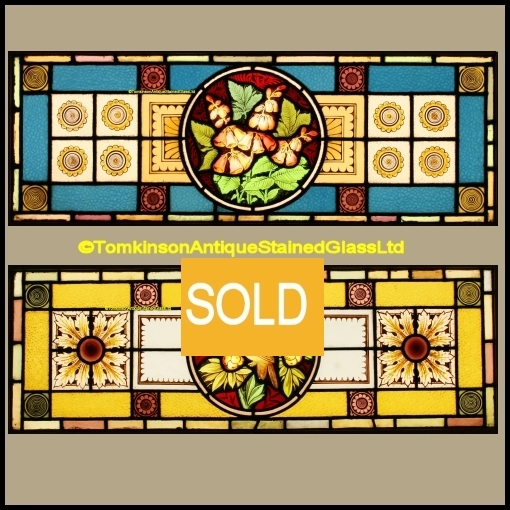 Lovely decorative windows and in original condition.